Attorneys & Staff. Hubbell Law Office. 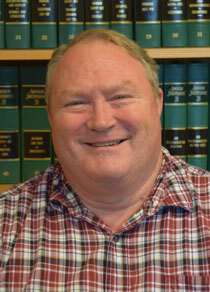 Dan Hubbell has practiced law for 30 years, all in the Traverse City area, concentrating his practice on criminal law including both misdemeanors and felonies; family law including divorce with and without children; business law including, drafting contracts, formation of business, business transactions and litigation; personal injury litigation; real estate transactions including deed preparation, easement issues, zoning, land divisions and quiet title actions; estate planning and probate litigation. I was the chairman for Leadership Grand Traverse Program for 6 years and chairman of the Conservation Resource Alliance for 19 years. I am current counsel for the Northwestern Michigan Fair Association and was on the board for a number of years. I currently sit on the Leelanau County Planning Commission. I graduated from St. Francis High School in 1971. Received my Anthropology Degree in 1975 from the University of Notre Dame and my Juris Doctor in 1985 from Thomas M. Cooley Law School. I am admitted to practice law in Michigan, United States District Court – Western District of Michigan, Eastern District of Michigan, and Sixth Circuit, and the Unites States Court of Appeals. 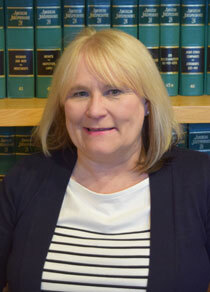 Jan Peterman-Kline has been in the legal field for over 30 years. She graduated from Elk Rapids High School and attended Alma College. She has worked in various law firms and has experience in a broad range of legal practice areas. Along with being a legal assistant, she became a Certified Court Reporter for the State of Michigan. She has been a member of the both the Grand Traverse and National Association of Legal Professionals, League of Women Voters and Traverse City Public School Parent Advisory Committee, among various other community groups throughout her career.